Driving is something we do that comes with a lot of habits. We form our driving habits as time goes on. Some driving habits are good and help keep us safe while on the road. Other habits are bad and can be dangerous, not only to you but to everyone on the road. To help ensure that you practice only safe driving habits, start before you put the car in drive. 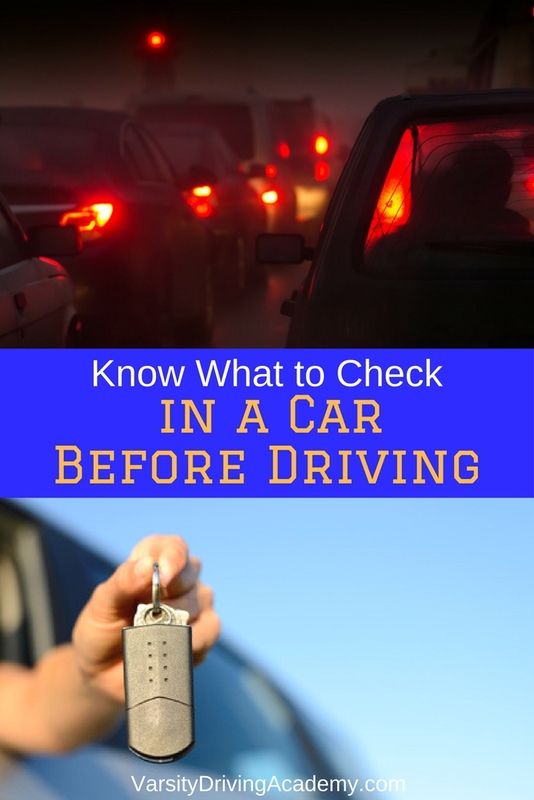 Some good habits to start forming now include things to check in a car before driving. There are many aspects of driving that you should check in a car before driving and everything you check will keep you safe on the road. First, a quick look under your car should help you identify any obvious leaks. Look for puddles of fluid on the ground and if there are any, try and identify the fluid. A couple of the obvious culprits would be brake, steering, or radiator fluids. There have been numerous cases of carjackers hiding in the backseat to surprise the driver once in the car. Check the backseat before you get in to make sure there are no stowaways. 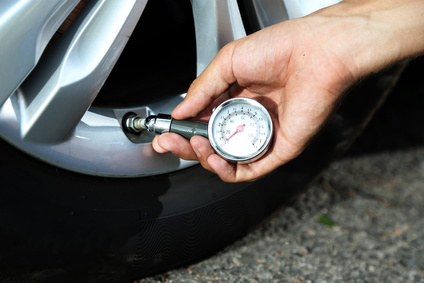 Tire pressure may not be as obvious as a leak but there are tools that can help. Most cars are even outfitted with a tire pressure alert. A low tire could mean a leak and could cause you to lose control of your vehicle. There are a few different lights that should always be checked, headlights, brake lights, and blinkers. Brake lights may be harder to check if you’re alone but if you’re not alone, have someone stand behind the car to check. 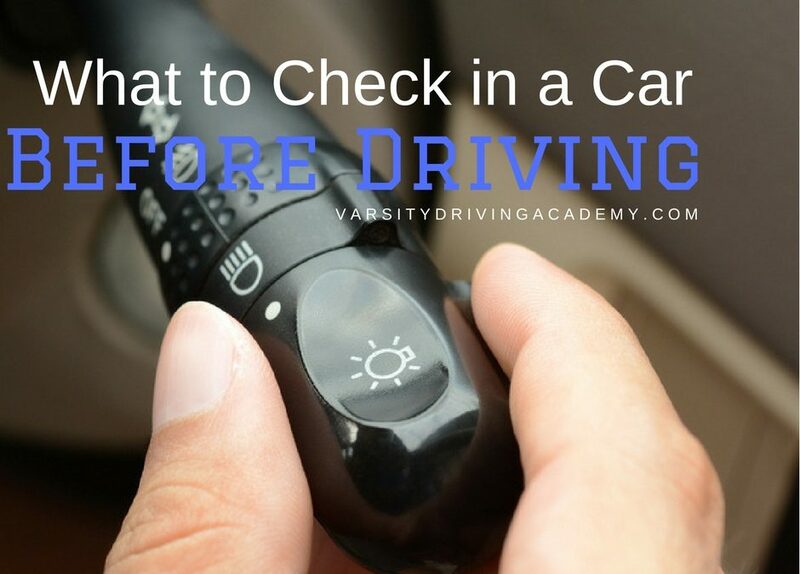 Lights may be one of the most important things to check in a car before driving. It’s important we can see everything around us once we’re on the road. Check the mirrors, and clarity of windows so you can see. If the windows are dirty or fogged up, use the defroster to clear them up or give them a quick cleaning. It’s always a good idea to start your car and let it warm up before heading out. During the wait, make sure you look at your gauges and know if there is anything your car is trying to tell you. Once the car has warmed up, you can turn on the A/C or heater and make sure all of the vents are working properly. Cycle through the main vents, defrosters, and floor to make sure each one is working properly. If you do all of the above regularly you’ll start turning them into habits. These habits will not only help you stay safe while on the road but help you stay ahead of any damage. Most often we wait until something becomes a major issue before addressing it, especially when it comes to our vehicles. By checking everything, before every drive, we can spot an issue before it becomes a big problem. It’s better to fix something now rather than fixing it on the side of a busy highway. Not to mention, some issues, like leaking fluids, could be the sign of a bigger problem to come.